It is easy to be fascinated by the many historic attractions in the center of Berlin. 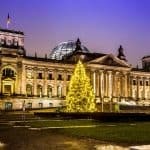 No trip to the city would be complete with laying eyes on the Brandenburg Gate, climbing to the top of the dome in the Reichstag, enjoying one of the many festivals, or witnessing the incredible Holocaust Memorial. 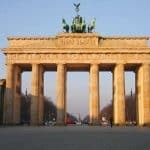 Yet Berlin is also full of many attractions that are beyond this central part of the city, that will bring you away from the crowds and out into neighborhoods that more Berliners frequent. Any reason is a good one to escape the center – from a piece of history to a special cafe or restaurant. 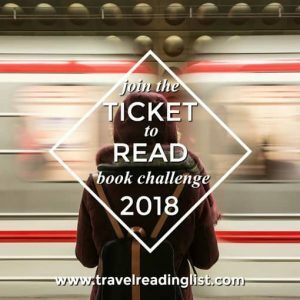 Here are 5 of my favorite spots for those travelers who want venture off the beaten path in Berlin. Some first-time visitors to Berlin are surprised to discover that there isn’t too much of Berlin Wall left. There are some places and museums where a single stone panel remains, and if you look down, there is a brick marker revealing where the Berlin Wall once divided the city in two. 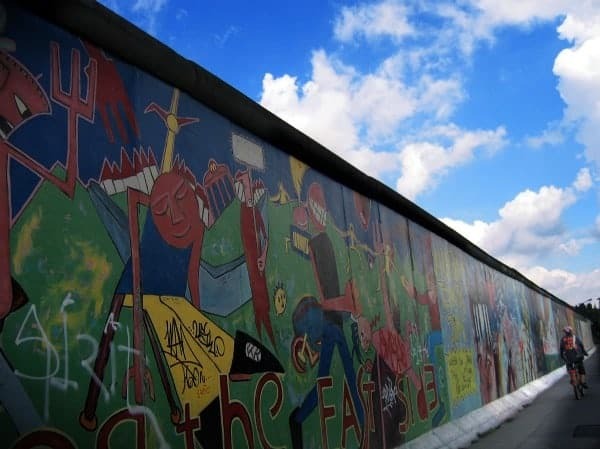 For those historically-interested travelers who want to get a better feel for what the Berlin Wall looked like – just how imposing it was in separating East from West – you must plan a trip to the East Side Gallery (in the photo above). Located in the Friedrichshain neighborhood, this section of the Berlin Wall runs along the River Spree. It is largely untamed, with a grittier atmosphere than the polished museums of the center of the city. Here it is possible to check out art and graffiti on the wall, but most importantly, to get a feeling for the sheer dominance of the structure of the Berlin Wall. Details: 45 – 80 Mühlenstrasse. Take S-bahn to Ostbahnhof or Warschauer Str. Another reason to travel off the beaten path is for a great bargain. Colours is one of the largest vintage clothing stores in Berlin and has fantastic prices on a variety of dresses, blouses, and accessories from different eras. Finding the shop on Bergmannstrasse in the neighborhood of Kreuzberg is half the fun, especially for travelers that haven’t ventured beyond the center of the city. Pricier items are found at the front of the store, but towards the back of the store is where the real value is located. If you happen to be in the market for a Halloween costume, this is also a great place to stock up on interesting finds. Favorite vintage items like leather handbags and belts can also be found. Details: 102 Bergmannstrasse, Kreuzberg. Take U-bahn to Mehringdamm or Gneisenaustrasse. Open weekdays 11 am – 7 pm, Saturday 11 am – 6 pm. Eating as the locals do sometimes reveal curious combinations. A beloved dish in Berlin is Currywurst, a street-food dish that consists of a cut-up sausage (or wurst) served with ketchup with curry powder, often over french fries or a roll. 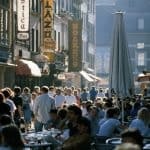 It is an affordable way to fill up in the middle of the day, and even better, the currywurst shops or stands offer some great people watching. While the best currywurst in the city is definitely up for debate, the oldest can be found in a neighborhood called Prenzlauer Berg. Since 1930 Konnopke’s has been serving up currywurst to locals and visitors alike. This is also one of the most pleasant neighborhoods to go for a stroll, so be sure to explore the leafy streets before returning to the city center. Details: Konnopke’s, 44B Schonhauser Allee, Prenzlauer Berg. Take U-bahn to Eberswalder Strasse. Open weekdays 10 am – 8 pm, Saturday noon – 8 pm. If you’re visiting Berlin during the warm-weather months, it can be fun to check out the local parks. Most visitors look at the map of Berlin and head immediately to Tiergarten, the massive green space located right in the center of Berlin. 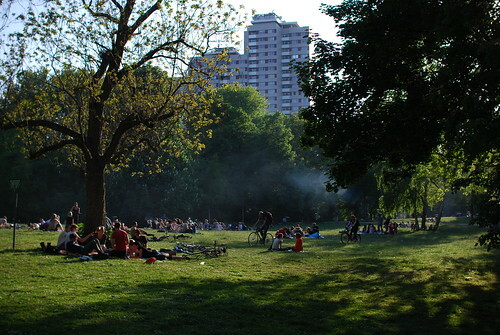 While this green space is ideal for ducking away from Berlin’s main attractions for a quick picnic, the Volkspark Friedrichshain will be more of an adventure. Pack along some picnic supplies and get outside of the center of Berlin to this sunny park. There are a few gelaterias that will provide the finishing touch to your off the beaten path picnic. Details: Am Friedrichshain & Friedrichstrasse. Open 24 hours. Take 200 bus to park entrance. When many art fans think Berlin, they might think of popular Museum Island. While it is easy to spend days exploring the art in these museums, there is also another museum, the Neue Nationalgalerie (The New National Gallery), that is worth a look. This museum isn’t as off the beaten path as some of the other spots on this list, but it does include fantastic modern art by some of the most famous painters including Pablo Picasso and Paul Klee. On the outside, the museum looks incredibly stark and uninviting, but on the inside, it is full of bright galleries to wander through admiring works of expressionist, cubist, and surrealist painters. Details: 50 Potsdamer Strasse. Closed Monday. Take U-bahn or S-bahn to Potsdamer Platz. Open Tuesday – Sunday 11 am – 6 pm; open late to 10 pm on Wednesdays. Admission – 10 euro. Whether this is your first or fifth visit to Berlin, a well-rounded itinerary will include some of the classic Berlin day tours along with a few more off the beaten path attractions. Whether you love shopping, art, history, or food it is possible to move beyond the guidebook by visiting these spots during your trip.